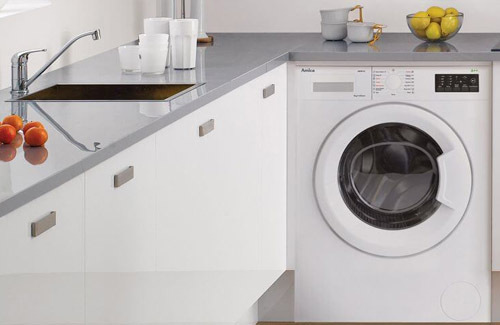 There are so many different types of washing machine on the market that we wanted to put together this guide to help you sort out your spins from your cycles and choose the perfect partner for your daily laundry. 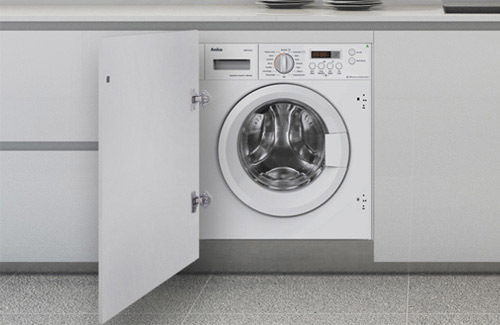 Integrated washing machines, are installed in your kitchen cabinetry and hidden behind a décor door, as opposed to freestanding washing machines, which are a standalone appliance. Depending on where you plan to put the appliance and how you intend to install it can make a difference between these two options. Many people do not have a separate utility room and so choose to install an integrated model into their kitchen design. Those who are renting or are planning on moving again soon may want a freestanding model to take with them when the time comes. Washing machine capacity can vary hugely. Back in the day, you could expect no more than about a 6kg wash load capacity on your machine which is the equivalent to 6 outfits or a set of bed sheets and towels. With today’s extra activities, gym kits and generally faster pace of life, this just wouldn’t do. For families that need to wash a lot and often, we recommend an 8 or 9kg machine to take care of all the whites or colours in one go. If you live alone, with a housemate or partner or simply don’t produce much in the way of laundry then a 6 or 7kg machine will do just fine for regular washes. Any larger and you will be waiting forever to fill the drum before you can put a wash on, leaving your sock drawer to run dangerously low. You just want the highest spin speed possible, don’t you? The higher the speed, the less water is left in your clothes at the end of the wash…so faster is better, right? Wrong. While having a high spin speed lets you whizz all the water out of towels and bedding quickly and saves time on drying, it is important to have the option to turn it down a bit. Higher spin speeds are not suitable for all your clothes. More delicate items, like jumpers, will need a lower spin speed to take care of the delicate fabrics and fibres. What’s more, the drier the item is at the end of the wash, the more likely it is to get creases in it from being thrown around inside the drum. We do have anti-crease functions to reduce this but the best option for shirts and linens, that crease easily, is to leave them very slightly damp at the end of the wash using a lower spin speed. This will make them much easier to iron. Energy ratings are constantly improving. That’s why we are always on the lookout for ways to save energy and water in your wash. Our machines come with ratings as high as A+++ now, which means that they are some of the highest rated products on the market for low water and energy usages. We’ve developed and fitted additional sensors on to many of our machines to improve this further. They work by adjusting the water and wash settings according to the load capacity and soiling level of your clothes. This means that you can perfect tailor the wash to give excellent results, without overdoing your impact on the environment. How are washing machines rated? Each one of the machine’s cycles is given a separate energy efficiency rating. The wash cycle is rated for energy and water consumption and then the spin cycle is rated; the dry cycle is also rated separately if it is a washer dryer. It is important to look at all of the energy ratings for your machine as your washing cycle could be rated very highly while the spin cycle uses a lot of energy. You can find all the energy rating information, including the Kilowatts used and water consumed, on the appliance’s energy label. This will be provided with the appliance on purchase and should also be able to view online or in store. Which washing machines use less water? 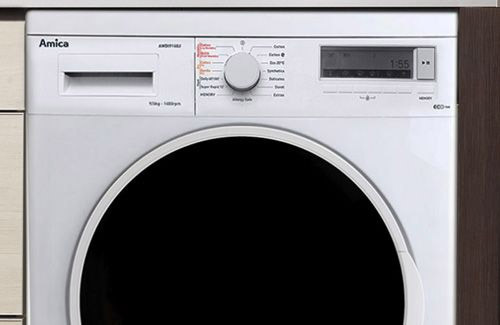 The amount of water used by your washing machine is calculated into the energy rating given to the appliance. If you select a machine that is A, A+ or even A++ rated, you can rest assured that it has been designed and built to use as little water as possible to take care of the washing. The amount of water used during the wash and rinse also depends on the programme you have selected. A prewash followed by a long, hot cotton wash will use more water that a quick wash setting, for example. We have built sensors into our machines to automatically adjust the water level used, saving water and being economical at the same time. These sensors detect the wash load and level of soiling before making adjustments to the water inlet required to clean the laundry effectively. Which washing machines are the best? 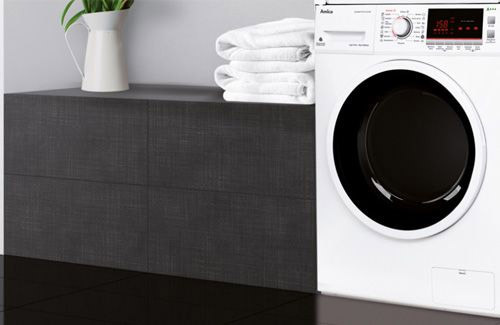 The best washing machine for your family and home is the one that offers the right functions for your lifestyle and holds the right amount of clothes to suit your washing habits. There is no point having an enormous washing machine if you live on your own, or with a partner. It will take you ages to fill it and you may not be able to efficiently wash as regularly as you would like. If you have a large family you will want a large drum capacity to be able to get through the whites and colours quickly so that you can get clothes, towels and bedding back in circulation as quickly as possible. Aside from the size of washing machine drums available, there are the washing functions to consider. If you have a young family then delicate washes and quick wash times will be important to you. If you have pets then the Allergysafe function will help you get rid of environmental pollutants in your home like dust, moulted hair and pollen. Look out for variable spin speeds on the model to ensure that you can adjust the setting to coincide with the wash load you are doing. Too high a spin speed can damage delicate items so may not be suitable for every load of washing you do. 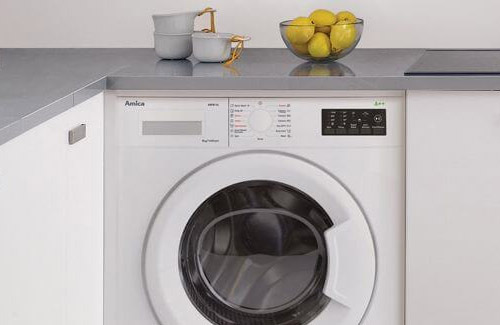 The best model is going to be the one that combines the most practical functions for your lifestyle, whether that is anti-allergy, a sports wash or a speedy programme, with the size of drum that you will make the best use of. Which washing machines are quiet? 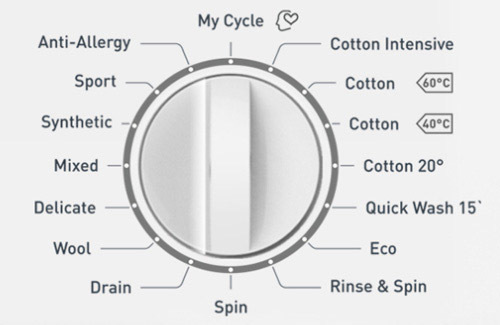 We are constantly working on the technology behind our wash and spin cycles to get the noise levels lower and lower. We’ve come a long way with the average Amica washing machine wash cycle registering 57dB. To put that in perspective, the sound of a cricket in the grass is around 55dB and a cat purring is about 60dB. Spin cycles are obviously a little louder and Amica models register at an average of 76dB. This is about the same as the sound of your loo flushing!